The centre shows the roundel of R.A.F. topped with the silhouette of a bomber Lancaster symbolising the links which unite us to the Royal Air Force and the British people. The Belgian flag covers the bottom of the centre and is surrounded by a crown of barbed-wire witch reminds the sacrifice taken by Belgian civilians to hide airmen from the enemy. 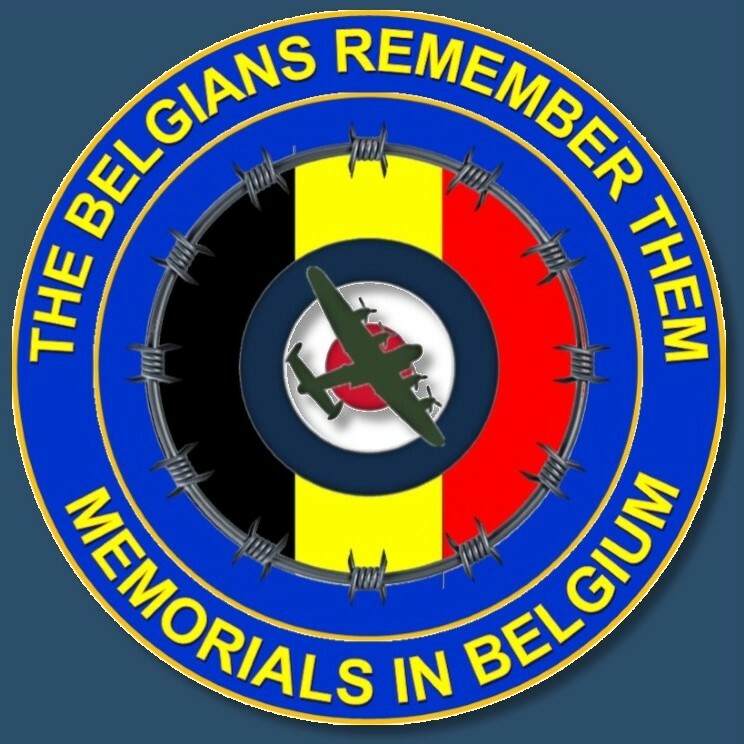 The outer part of the crest hass the mentions of "The Belgians Remember Them" and "Memorials in Belgium".